In this video tutorial we will show you how to set an admin password. In Windows, go to the “Start” menu and choose “Control Panel”. 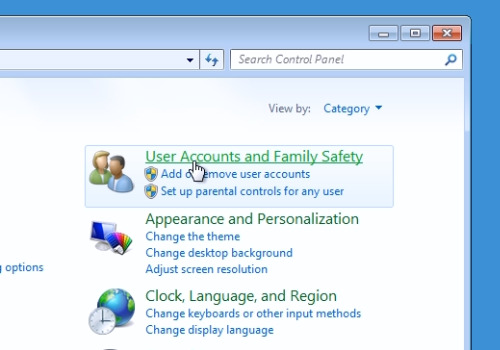 In the following window, select “User Accounts and Family Safety”. 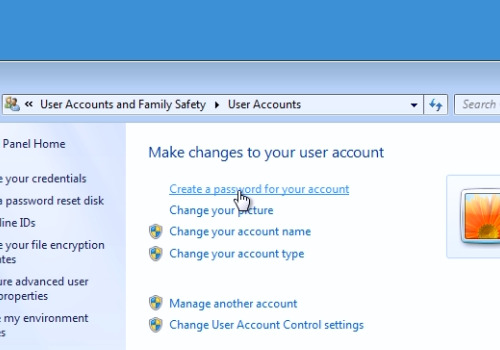 In the next window, choose “User Accounts”. In the following window, click “Create a password for your account”. 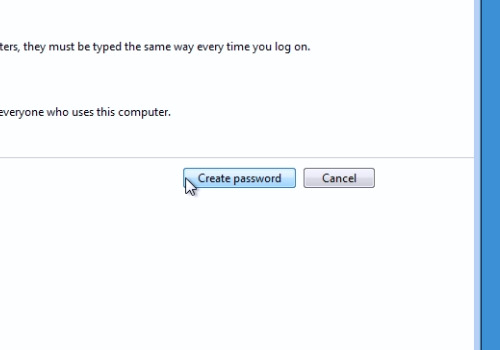 Under the administrator account icon, type your new password, and then retype it to confirm. Then, type a hint for your password, if needed. When it’s done, press “Create password”. Now you have an admin password.